In September 2017 we invited submissions from young writers and artists for publication online in an ezine to be called ePOTB. Unfortunately, we did not receive enough entries to make a viable e-magazine, so with great regret we had to withdraw the e-publication opportunity and cancel the production of ePOTB. This decision was based solely on the number of submissions and does not reflect the quality of work received. Indeed, in the circumstances, we chose not to read any of the Poetry and Prose submissions. However, we did receive a reasonable number of Art entries and therefore decided to host a small gallery, featuring one piece from each of the artists who submitted work. 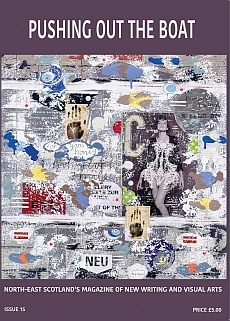 The gallery is posted on our blog under the title ‘Gallery of Young Artists’ Work’. Submissions of writing and artwork are invited for our first online edition of ePOTB. 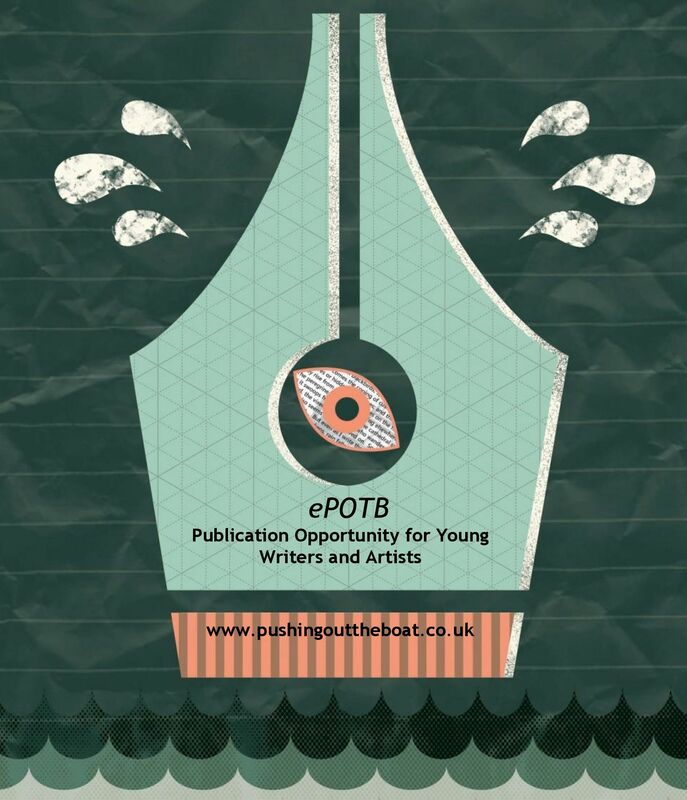 Pushing Out the Boat, North-East Scotland’s Magazine of New Writing and the Visual Arts, is looking to discover the best new work from young writers and artists aged 12 to 17. ePOTB will be published as an ezine on the Pushing Out the Boat website in Spring 2018 and a £50 prize will be awarded to the best contribution in each of the three categories: prose, poetry and art. Submissions should be made through the online forms, available on this website. The deadline is 30th November 2017. Good Luck! Before making a submission, you must register with us as a potential contributor to obtain a personal username and password that will enable you to login to the submission system. Already registered? If you submitted to a previous issue, the username and password you chose then will still be valid, so you can go straight to the login page. If you have forgotten either, the login form includes a link through which you can retrieve your details. Once registered, you will be able to login to the submissions area of the website, using the personal username and password you chose at registration. Please note that we do not accept submissions by email. All entries should be submitted through the online forms on this website. The deadline for submissions is 30th November 2017 but earlier entries are especially appreciated. Our target date for completion of the selection process is late January 2018. Successful submitters will be notified by email. Please note that, due to limited resources, we are unable to enter into correspondence regarding selection. We aim to launch ePOTB here on our website in Spring 2018. Details of the prize winners will also be published on the site. Access to submissions will be restricted to the selection and editorial team of Pushing Out the Boat. No use will be made of those submissions not selected for publication. Items, or extracts from items, published in our magazines may also be reproduced on the Pushing Out the Boat website and in other POTB publicity. Copyright: All content copyright © of respective authors and artists. Contents of the magazine may not be used or reproduced without crediting POTB and the author or artist. Any commercial re-use or reproduction of a contribution requires prior permission from the editor’s representative and the particular contributor.